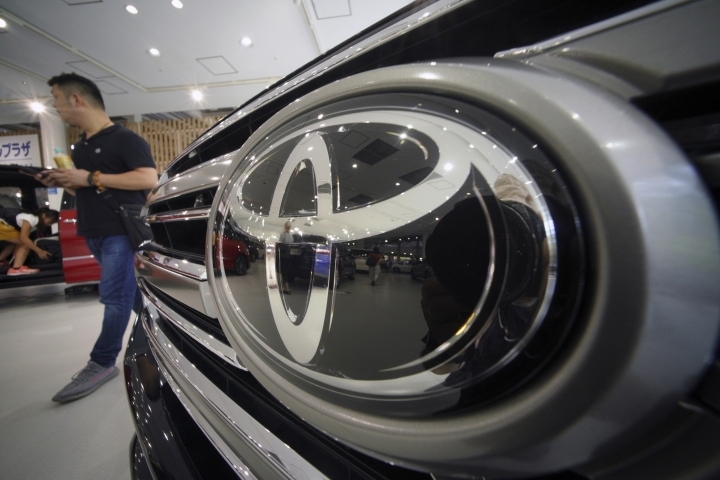 TOKYO — Toyota Motor Corp. logged a better than expected performance in the last quarter, reporting Friday that its quarterly profit jumped 7.2 percent to a record 657.3 billion yen ($5.9 billion), thanks to strong sales in the U.S. and other overseas markets. 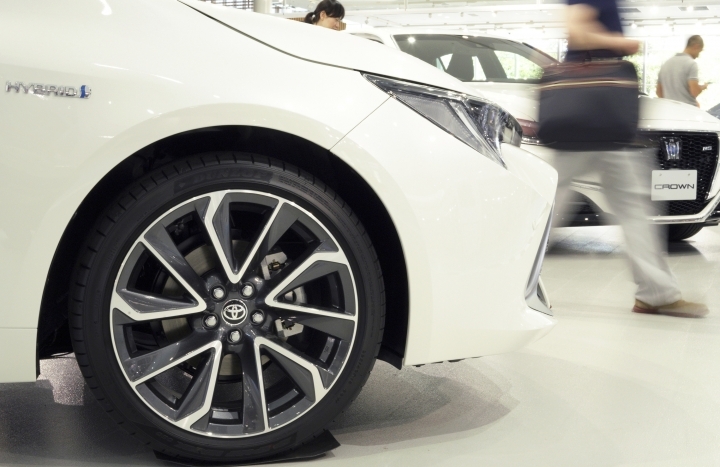 The maker of the Camry sedan, Prius hybrid and Lexus luxury models said sales rose 4.5 percent, also to a record, of 7.4 trillion yen ($66 billion). 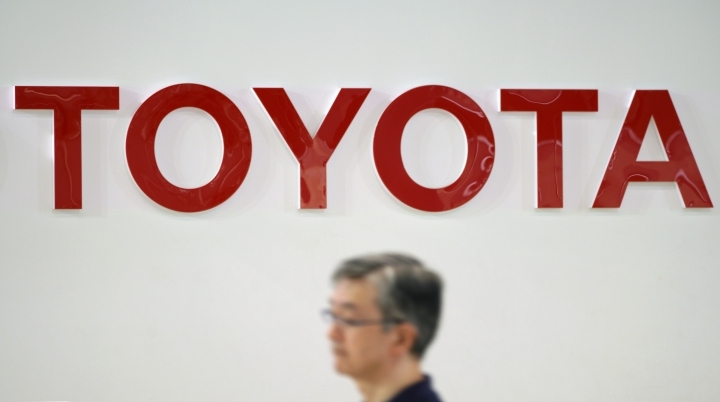 Toyota's profit in the same quarter a year earlier was 613.0 billion yen. The results were better than expected given recent trends in the U.S. market and Japan, where Toyota's sales did fall in the April-June quarter, by almost 34,000 units. Cost cutting also helped trim 60 billion yen ($537 million) from expenses, the company said in a statement. With uncertainties over possible U.S. tariff increases clouding the horizon, the company kept its profit forecast for the full year unchanged at 2.12 trillion yen ($66 billion) and trimmed its global sales forecast further, to 8.9 million vehicles from the earlier estimated 8.95 million units. It said the forecasts do not take into account possible tariff hikes or other such changes. Toyota has invested heavily in U.S. manufacturing facilities, which should help soothe the sting from higher tariffs. But all the big Japanese automakers would hurt if President Donald Trump's administration follows through on threats to impose 25 percent tariffs on imports of autos and auto parts. Toyota has been lobbying against the tariff hike, sending staffers to stage protests on Capitol Hill. It says higher tariffs would raise vehicle prices by at least several thousand dollars apiece and could threaten the jobs of its 137,000 workers in the U.S. Despite its strong showing in the U.S. market in the last quarter, Toyota earlier reported that its sales in the U.S. fell 6 percent in July. Its share price fell 0.8 percent Friday in Tokyo. The company is banking on artificial intelligence and networking technology, as in connected and self-driving vehicles, to woo consumers. Toyota's executive vice president, Moritaka Yoshida, said in a presentation that the company is in a rare "transformational" period as regulations tighten and technology shifts to wired mobility and electric vehicles. That is improving quality but also raising prices. "We are still not adequately thinking from the perspective of customers," he said.